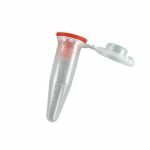 Eppendorf® Safe-lock™ tube bead lysis kits are made of high quality polypropylene and very easy to open and close. 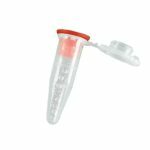 These tubes can be used in any current microcentrifuge model Bullet Blender® (except discontinued BBX24W and BBX24BW models). Custom kits: Made to your specifications. Need a precise mixture of beads to match your SOP or homogenize an unusual sample? Don’t waste hours making them yourself — we offer Custom kits. Contact us for more information. Kits are available in RNase-free or non-sterile versions, and are sold in packs of 50 or 250. 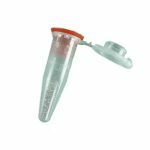 1.5 mL Green kits: Excellent for small medium-tough samples.Green Bead Lysis Kits are filled with a mix of stainless steel beads for buffer volumes between 100μL and 300μL. They’re excellent for small samples of tougher material like muscle. 1.5 mL Navy kits: Extra power for your tough samples. Navy Bead Lysis Kits are filled with a custom mix of stainless steel beads for buffer volumes between 300μL and 600μL. They’re great for samples too large for a Green kit, and deliver extra homogenizing power for challenging samples like bone, tumors, and hard-shelled insects such as ticks. 1.5 mL Pink kits: The best for small soft samples with buffer volumes between 100μL and 300μL. Pink Bead Lysis Kits are filled with a mix of zirconium oxide beads for small samples of soft material like liver. 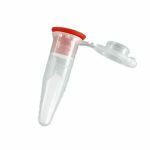 1.5 mL Red kits: Ideal for medium soft samples with buffer volumes between 300μL and 600μL. Red Bead Lysis Kits are filled with a mix of zirconium oxide beads for medium samples of soft material. 1.5 mL Yellow kits: Blend your bacteria better. Yellow Bead Lysis Kits are filled with beads selected for high yielding bacterial lysis. 1.5 mL Orange kits: Blend your bacteria better. Orange Bead Lysis Kits are filled with beads selected for extracting bacteria or generating single cell suspensions from tissue samples. 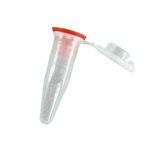 All colors of Eppendorf kits are shipped with red silicone plugs.